Are you wishing for fall like me? 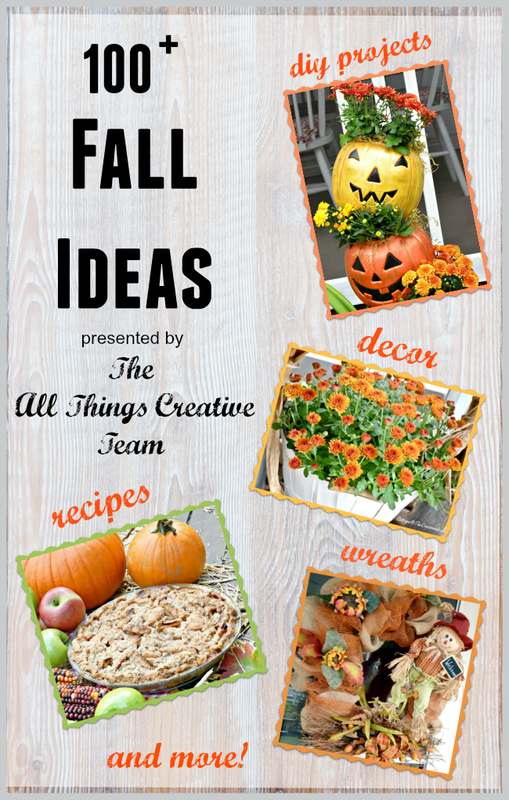 If so, then you are in luck because the All Things Creative Team has put together a collection of over 100 DIY Fall Ideas! It has been a really hot and dry summer here and I have found myself yearning for cooler days. I haven’t started any decorating for fall yet, but I’ve certainly been making some plans. It seems that I’ve had more baking and cooking on my mind lately with my Chai Sugar and Pear Apple Butter recent posts! 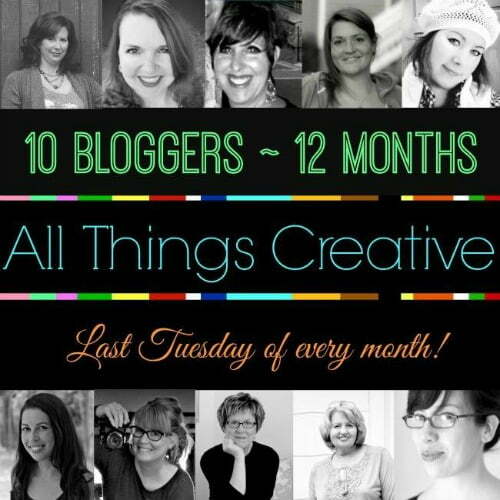 But it’s that time of month when the creative members of my team link up their favorite posts on a topic, and this month’s topic is FALL! 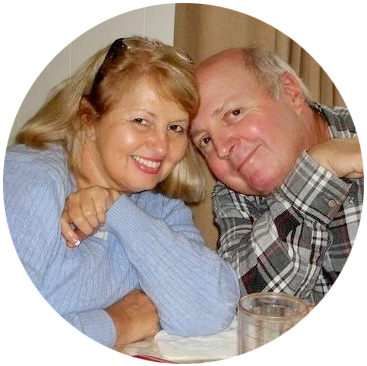 Domestically Speaking, A Little Claireification, Debbiedoo’s, The DIY Village, Creative Cain Cabin, The Happier Homemaker, Redhead Can Decorate, On Sutton Place, me, and Tried & True. Hope you have a chance to visit them all this month, and if you don’t, just pin the graphic above on Pinterest so you can find all the inspiration later. Who remembers these scarecrows that I painted two years ago? 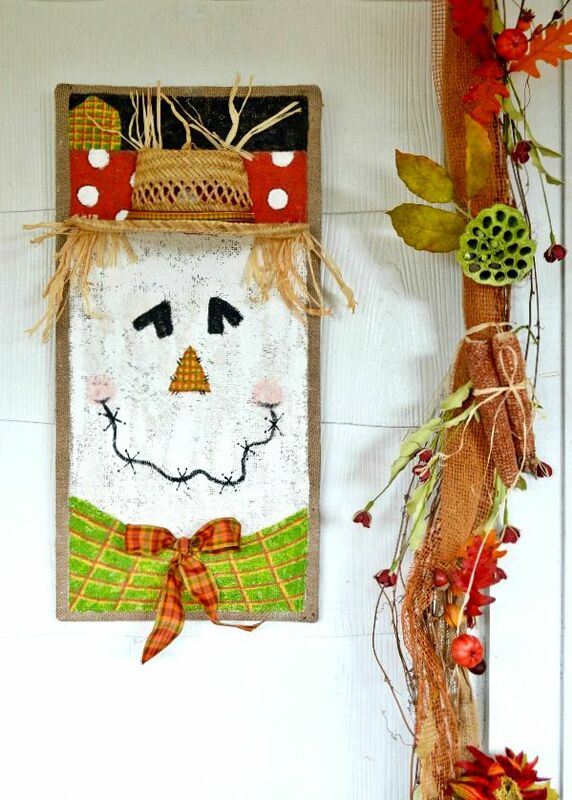 You’ll find the tutorial on how to paint scarecrows on burlap below. 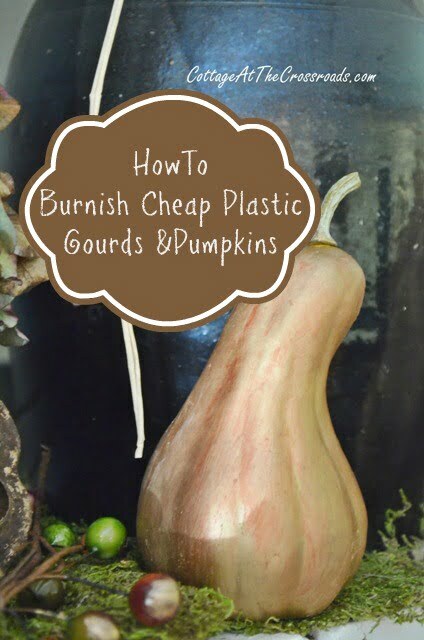 That same year I was “burnishing ” some cheap plastic gourds and pumpkins by painting them with some metallic paint. Such an easy and thrifty project that anyone can do. 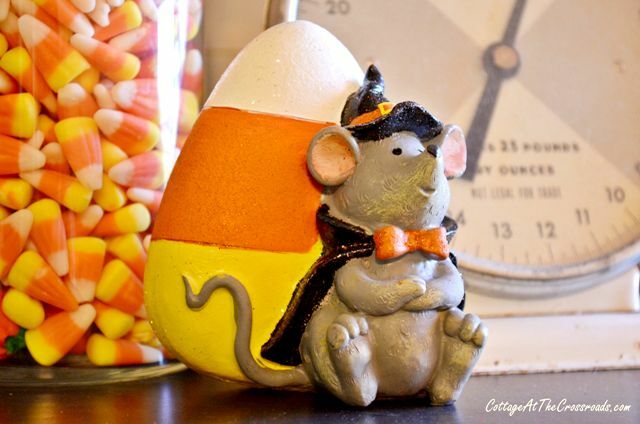 And here are a few ideas for bringing some fall fun into your kitchen in my Fall Kitchen 2013 tour. You’ll find these and many more inspirational links below so grab a cup of coffee or your favorite beverage! There’s something here for everybody!